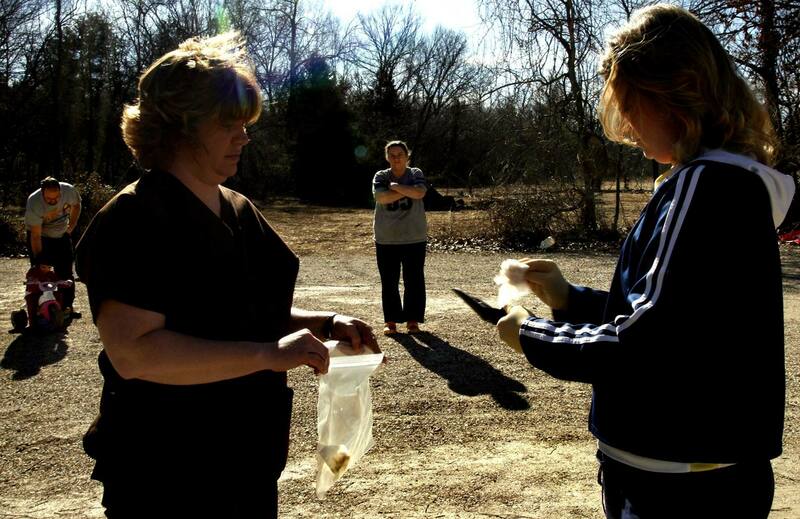 Madison County Health Department nurses RN Teresa Clark and RN Jenny Sykes retest the soil at the Miller property as Kirsten Miller and her husband Steve and Destiny,3, watch. The Millers, who live on top a former lead mining and smelter site had their yard replaced last fall when it tested hot for lead contamination. The Health Department came back to retest the soil and make sure it was no longer contaminated since the Miller's daughter still struggles with a high lead level.